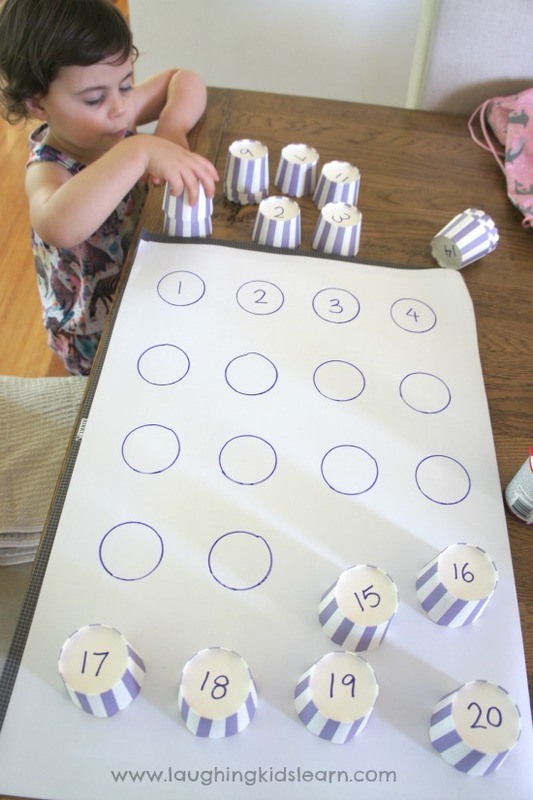 Simple to make number matching activity that toddlers and preschoolers can do at home or in the classroom. 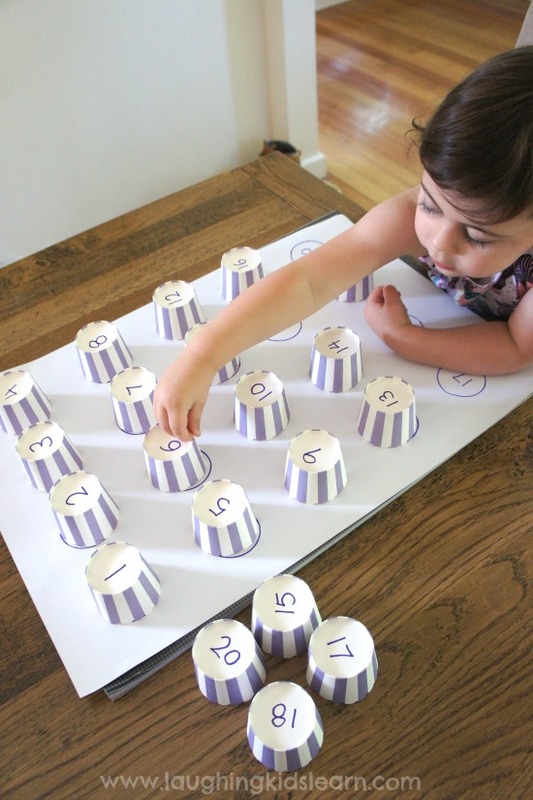 Great for developing number recognition and matching skills. Possum (aged 3 years) has shown a wonderful curiosity for numbers for quite awhile now. She recognises them when we are out and about and regularly asks us to write them down so she can trace the number formation with her finger or a pencil that she’s found nearby. Her interest has really inspired me to make this activity for her, which I’d seen previously and added to my Pinterest account. You can find here. Quite simply, use the cupcake liners to create as many circles as you’d like your child to match. Possum enjoys learning numbers up to 20. 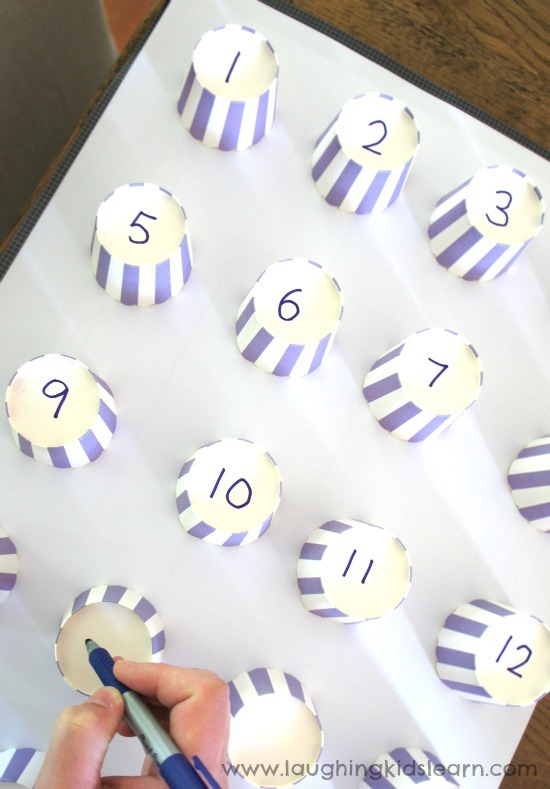 Write your numbers at the base of your cupcake liners and in the middle of the circles you’ve drawn. Now the matching can begin. 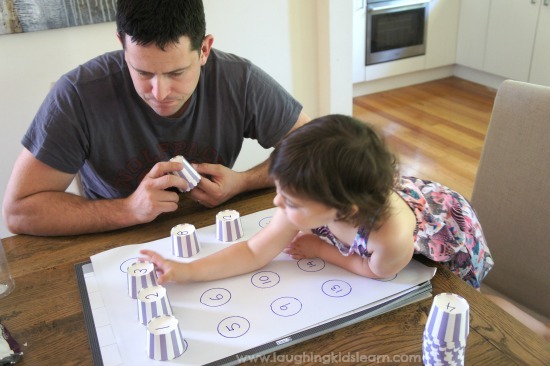 This activity was very much like playing with a puzzle and putting the ‘pieces’ in the correct places. Possum absolutely LOVED it. It was also a great way to highlight that numbers are formed and expected to be a particular way around. 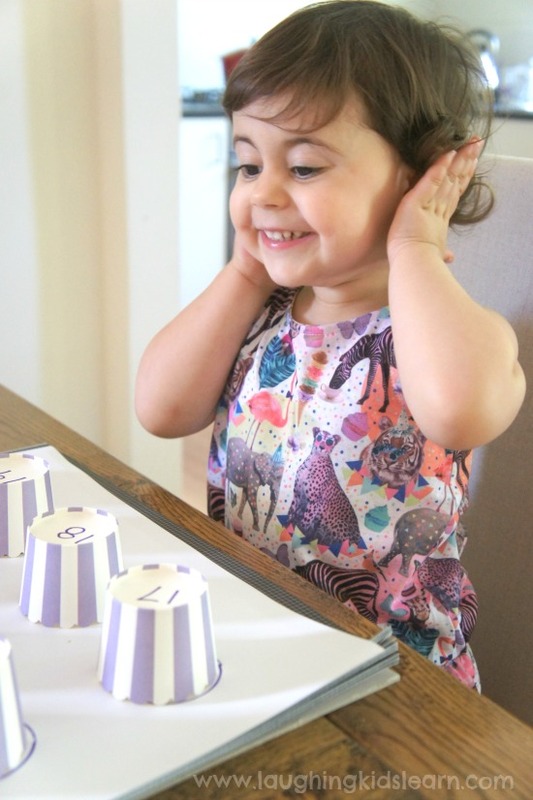 Possum had a great time with this activity that she began creating her own games and considering rules and certain outcomes. It was really wonderful to watch and listen to her thinking. Another special part of this activity is that other family members can participate too. 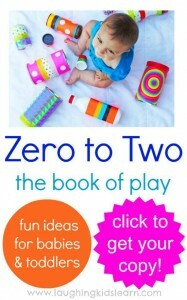 This helps to teach children about sharing, taking turns and working towards a particular goal. I love this picture because it really does highlight Possums love of this activity, which I put together in about 5 minutes. Over the hour that she played with it I loved answering her questions about the various numbers she was unfamiliar with, confirming the ones she did know and to hear her really begin to develop a greater understanding of number names and their formations. 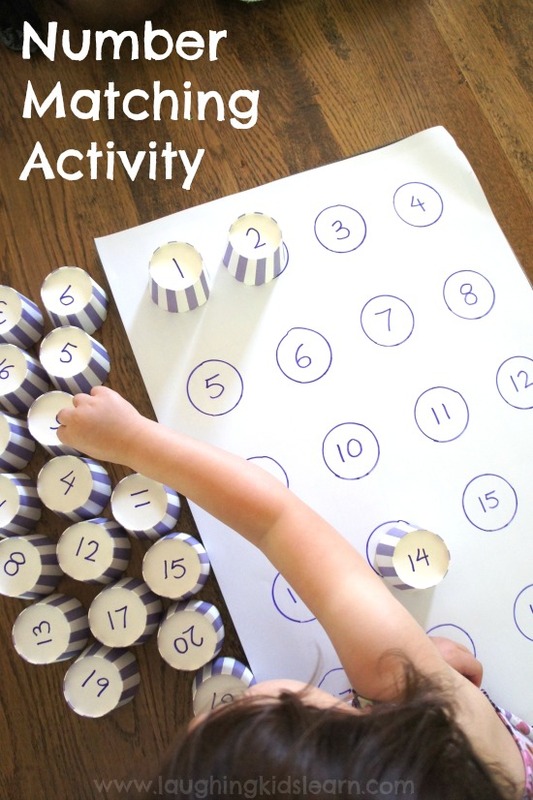 Do you love making quick activities for your kids? The picture of your happy girl is the best! 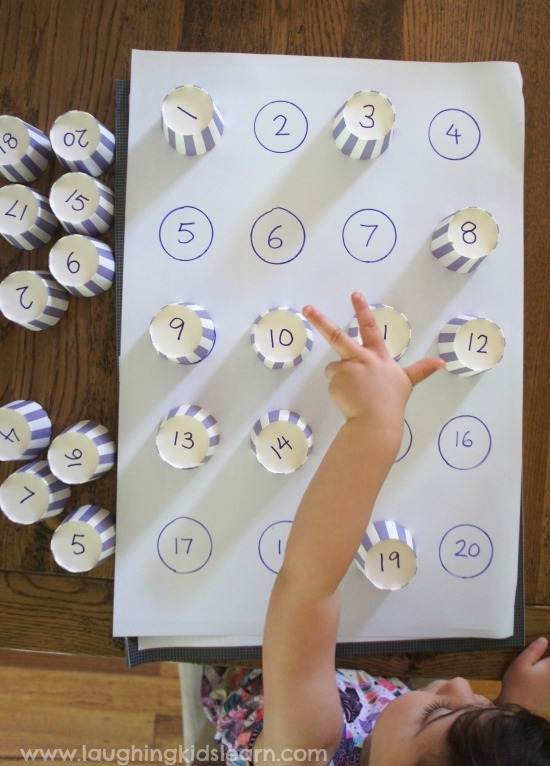 This is a great idea, and I am going to use it to make a combinations of 10 game for my kinder class. The large size will add just enough novelty to make it a favorite! Thanks for sharing. Thank you so very much Danette! I’m sure your kinder class will love it. 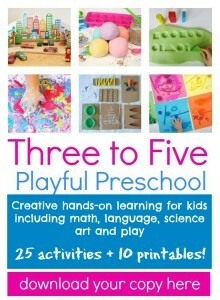 It’s such a flexible activity that you can design to suit all needs. 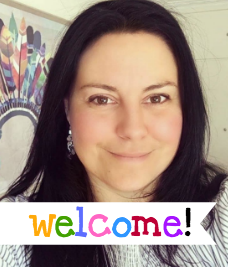 Best wishes and thanks for your comments. This is such a good idea! Thank you so much! Oh Hala, you are absolutely welcome. Make sure you subscribe to find out more of my ideas.